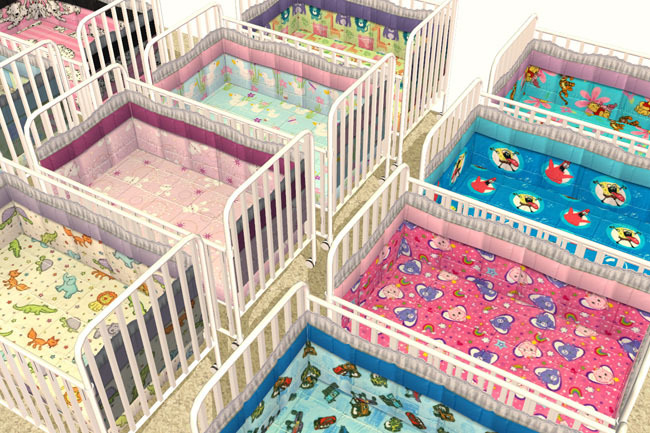 Due to popular request, I finally decided to make crib versions of the Kids' Bedding Collection I uploaded last October. 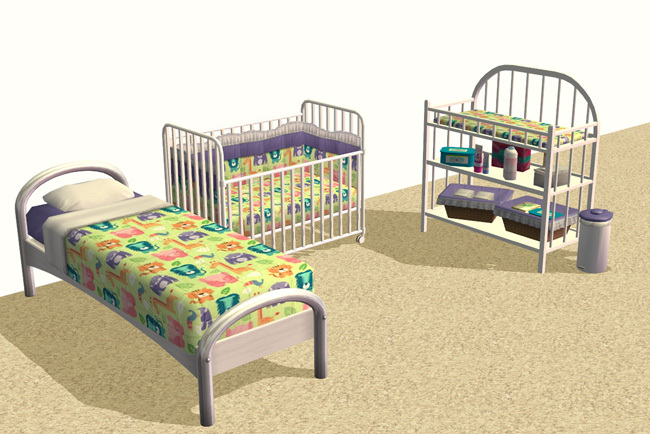 They are designed to blend in perfectly with their original counterparts (see comparison shot), in case you want your toddler to share a room with their older sibling. There are ten total: five generic and five character prints. Each one has a quality, seamless, quilted texture. 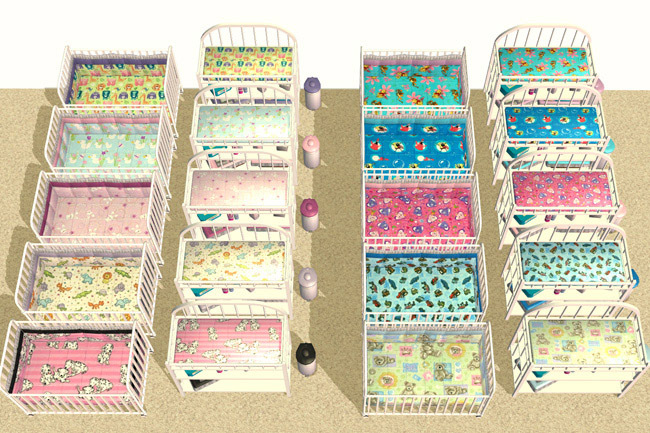 I've also included a white crib frame and matching changing tables for perfectly matched nurseries.